You're never too old to be read to and who doesn't love a good picture book? 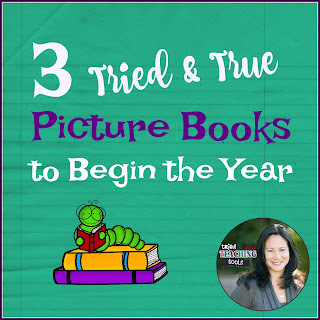 I always begin the school year reading picture books to my class, rather than jumping right into a novel. (And I continue to read them throughout the year!) 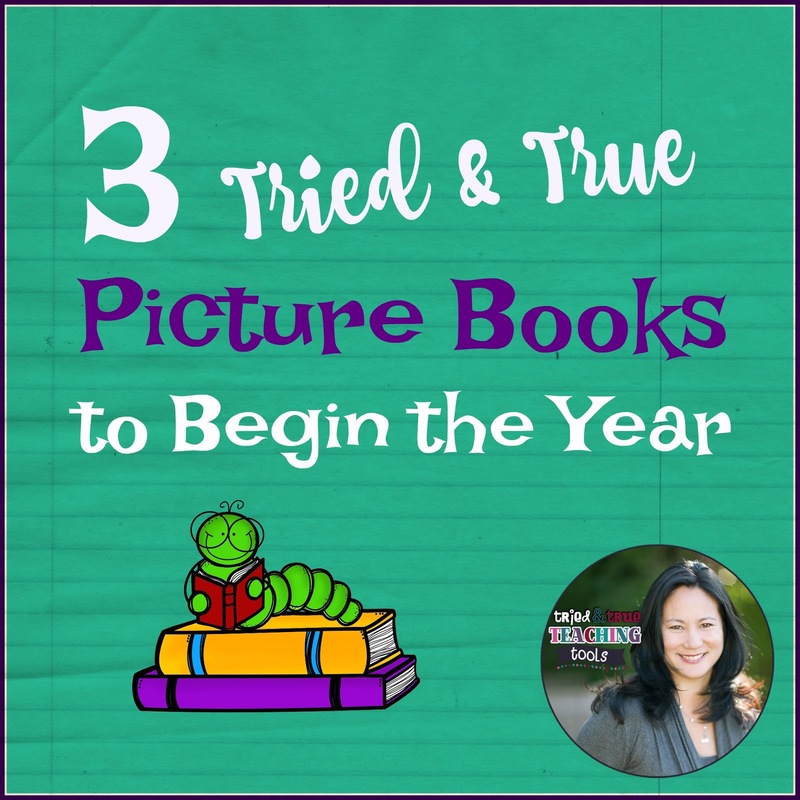 There are so many great themes in pictures books, as well as starting points for meaningful discussion. Note: Some of the links in this post are affiliate links. This means that I am a participant in the Amazon Services LLC Associates Program, an affiliate advertising program designed to provide a means for sites to earn advertising fees by advertising and linking to amazon.com. First Day Jitters by Julie Danneberg is such a fun first day book! Sarah Jane Hartwell doesn't want to go to her new school because she won't know anybody. All my kids can relate to the anticipation and anxiety of the first day and it quickly eases my students who are new to our school. The best part of the book is the twist at the end (SPOILER ALERT!) when readers discover that Sarah Jane Hartwell is the new teacher! The perspective of the illustrations keep the readers believing she is a kid until the last page. I always love hearing the gasp from my kids when they realize Sarah Jane Hartwell is the teacher; then I tell them about my "beginning of school" butterflies and "can't sleep" moments. Up the Learning Tree by Marcia Vaughan and Derek Blanks is a fabulous story about Henry, a young slave who learns to read and write while hiding in the sycamore tree outside the schoolhouse, even though it is illegal and the punishment could be having his fingers cut off. The teacher secretly befriends Henry and risks everything to teach him. This is a poignant and hopeful story about determination, perseverance, and the importance of reading and writing. 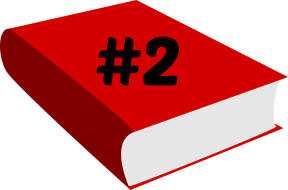 I read it the first week of school, as we begin reader's workshop and writer's workshop. The Invisible Boy by Tracy Ludwig is a relatable story about Brian, the invisible boy. He's illustrated in black and white, whereas the other children and scenes are illustrated in color. No one notices him; he's never invited to parties, he's overlooked on teams, and no one thinks to include him. Luckily he has a large imagination, including creating a superhero with the power to make friends. When a new kid comes to class and is teased, Brian leaves him an illustrated note that changes everything! Once he notices Brian's artistic talent, other students also start to notice and value his chalk drawings (and him!). This book has all the feels! 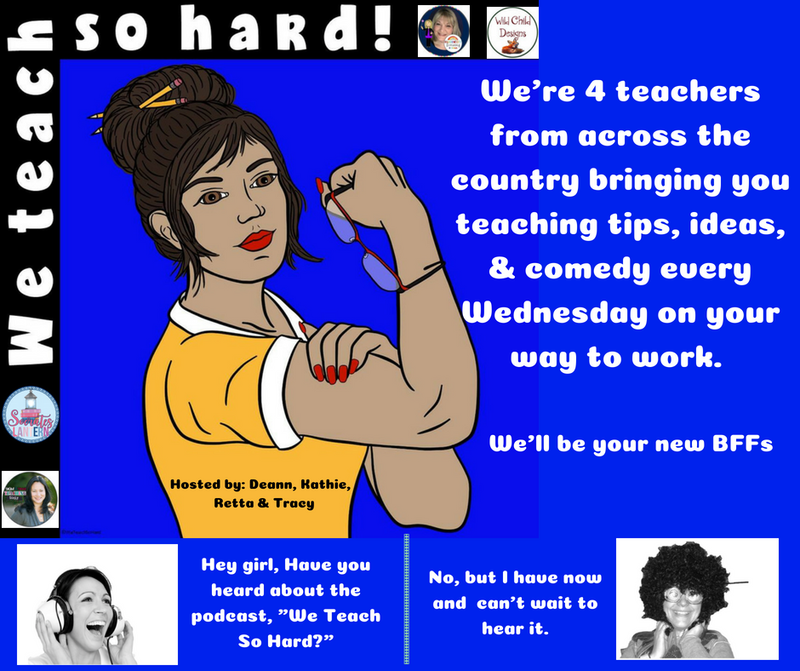 We also share other favorite read-alouds to get your year off to a great start in episode 5 of "We Teach So Hard", a new podcast you can find on Apple iTunes, Google Play, Anchor, and several other podcast providers! Join the conversation in our Facebook group! 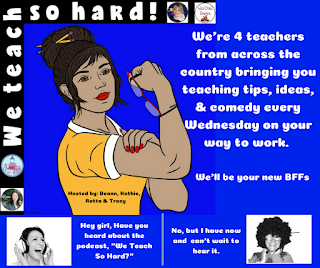 For more Start the Year read-alouds from the crew of "We Teach So Hard", click below! Great choices! Up the Learning Tree and The Invisible Boy are both new to me, and they sound wonderful! Reminders of how precious learning really is, and how important it is to make everyone feel valued and visible! Thank you for sharing these as a way to dig into Reading and Writing Workshop this year! Yes, it is so important to make everyone feel valued & visible! I love your choices of books for the beginning of the year. In the Invisible Boy, I love the way the author uses black/white and color to emphasize the point he's trying to make. I bet it's an eye opener for the kids. Thanks for sharing your awesome ideas. The kids pick up on the black & white versus color difference right away! The illustrations are so simple, yet capture Brian's feelings so well. We talked about looking for everyone's special talents & reaching out to those who look alone. Love this book!